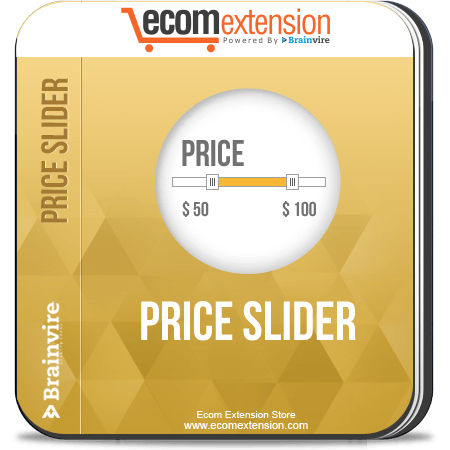 Magento Price Slider Extension facilitates users to see products in a certain range of price as per their choice. 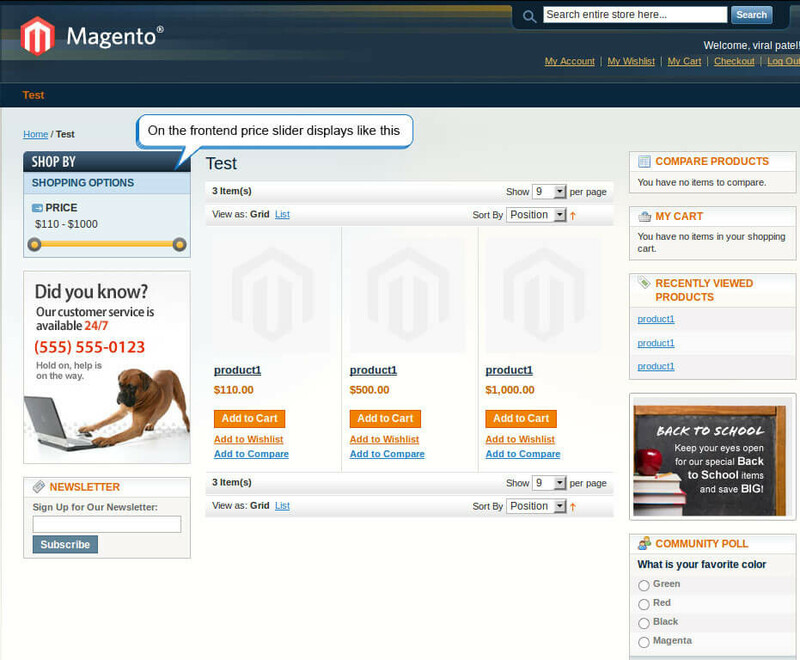 Magento Price Slider Extension facilitates users to see products in a certain range of price as per their choice. 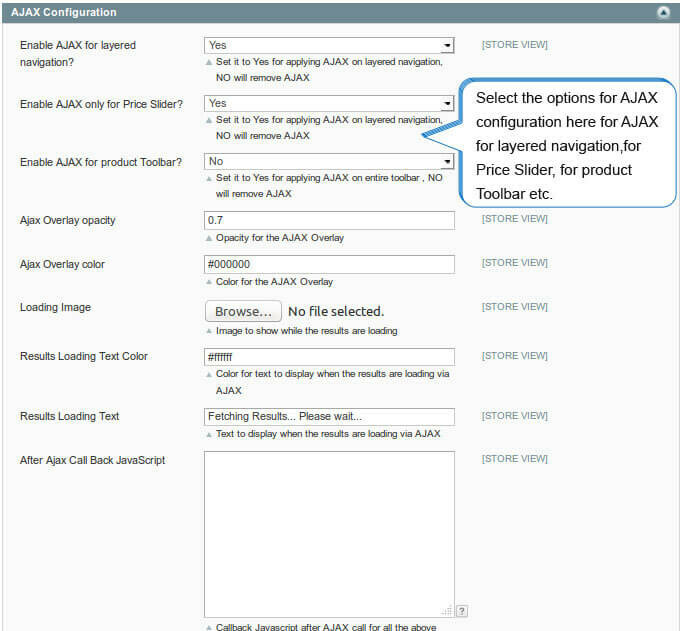 This module adds jQuery ajax functionalities to the Magento Layered Navigation lists. The catalog lists appear without refreshing the page. Price Slider Extension for Magento replace the classic price filter by a price slider with an excellent AJAX and jQuery based UI at the front-end of your store. Moving the slider right or left applies the desired price filter on the product catalog. It is easy to configure this module with your Magento website. 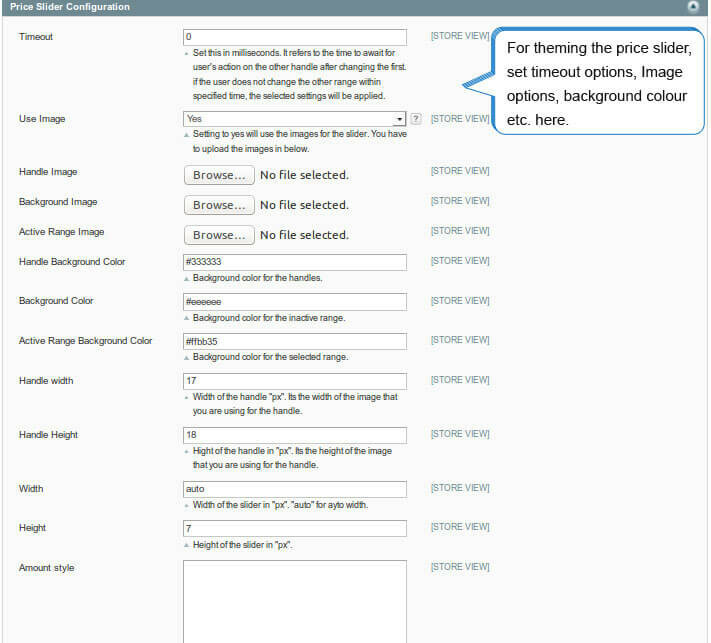 Slider for custom Price type attributes like weight, width, screen size etc. You can easily integrate this extension with the other layered navigation extensions such as SEO, AJAX, CheckBoxes and many more. This is a full-packaged Magento extension which not only saves your money as well as time but allows you to use future layered navigation extensions too.